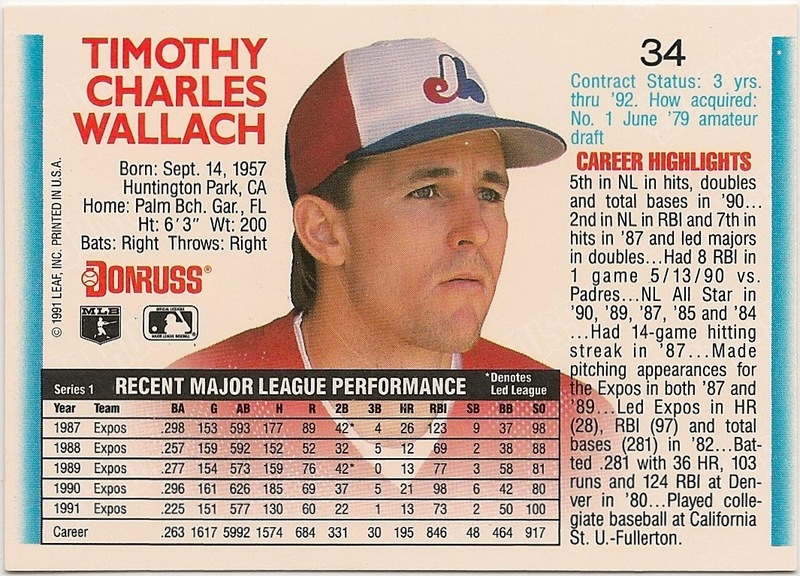 Card Review: 2.5 It's hard to say for sure the exact point the card collecting hobby was ruined (or at least forever changed from it's original roots), but the '92 Donruss set is certainly a good starting point. 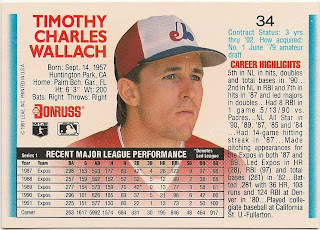 This set was a drastic change from previous Donruss designs, and just an epic failure on so many levels. This card looks less legitimate than the Diet Pepsi give-aways from the same year. In the interest of fairness I feel I must acknowledge two points about this set. The first is my own personal bias. I liked the standard Donruss cards of the previous decade that had more or less identical backs every year. 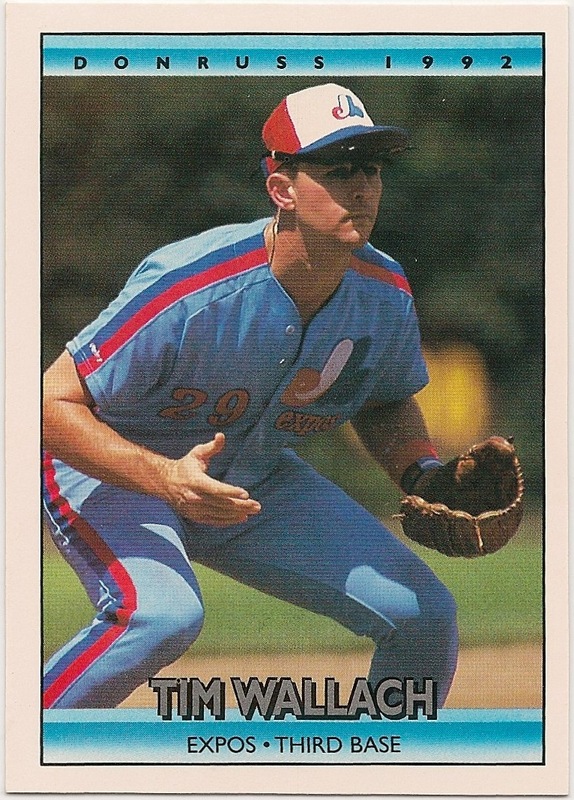 I even liked '91 Donruss. So when something that I like and am very familiar with changes in such a drastic manner, it's going to be difficult for me to give the new design a fair shake. The second point I need to make is that over the last few years I've seen a good number of cards from this set showing up on various blogs, and I often find myself saying "that's a great photo." I had a ton of these as a kid, mostly due to the spoiled kid up the street buying copious amounts chasing the inserts and giving away all the "commons." But I don't remember thinking much of the photography at the time. I really don't blame you one bit. Certainly one of the most overproduced sets of all time. Still, I'm a fan.